The Avg. Group Saves 14.4%! Our hotel's O'Neill location is nestled among various points of interest, including Ashfall Fossil Beds State Historical Park. Just an hour away, the beds are a must-see for all travelers. Outdoor enthusiasts have easy access to the Cowboy Trail, known as a hot spot for hiking and biking. Also nearby, Carney Park, Lions Kiddie Park and Schaffer Park are great public parks in the O'Neill area. O'Neill Hotel in Irish Capitol of Nebraska If you're looking for quality O'Neill hotels, look no further than the Holiday Inn Express® Hotel O'Neill. Located in the Irish Capital of Nebraska, our hotel is surrounded by attractions that are fun for the entire family. Our hotel's O'Neill location is nestled among various points of interest, including Ashfall Fossil Beds State Historical Park. Just an hour away, the beds are a must-see for all travelers. Outdoor enthusiasts have easy access to the Cowboy Trail, known as a hot spot for hiking and biking. Also nearby, Carney Park, Lions Kiddie Park and Schaffer Park are great public parks in the O'Neill area. 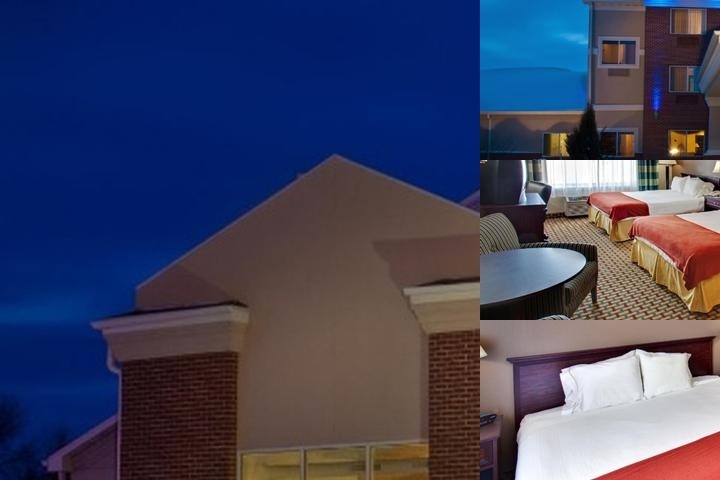 Our hotel's business travelers enjoy a convenient location and quality amenities during their stay. Minutes from our hotel's front door are O'Neill businesses such as Carhart Lumber Co., Farmers National Co. and Northeast Community College. Corporate guests can take advantage of the copy, fax and print services in our Business Center as well as the 676-sq-ft meeting room. Whether business or pleasure brings you to O'Neill, this hotel keeps you connected with free high-speed Internet access. Keep up your exercise routine by using the Fitness Center's bike, elliptical machine and treadmill. Our free, hot Express Start Breakfast Bar features our signature cinnamon rolls and savory 100% Arabica bean coffee, so it's a great start to any morning. We look forward to your upcoming visit! pool and hot tub hours from 7 am to 10 pm 7 days a week. cancellation policy is 24 hours before check in to avoid the 1st night charged. The O'Neill Municipal Airport is two miles northwest of O'Neill, in Holt County, Nebraska. It is owned by the O'Neill Airport Authority. Free American full Break Fast. Free open parking lot, we have parking space for bus and truck also.. The Holiday Inn Express highlights above are subject to change without notice. 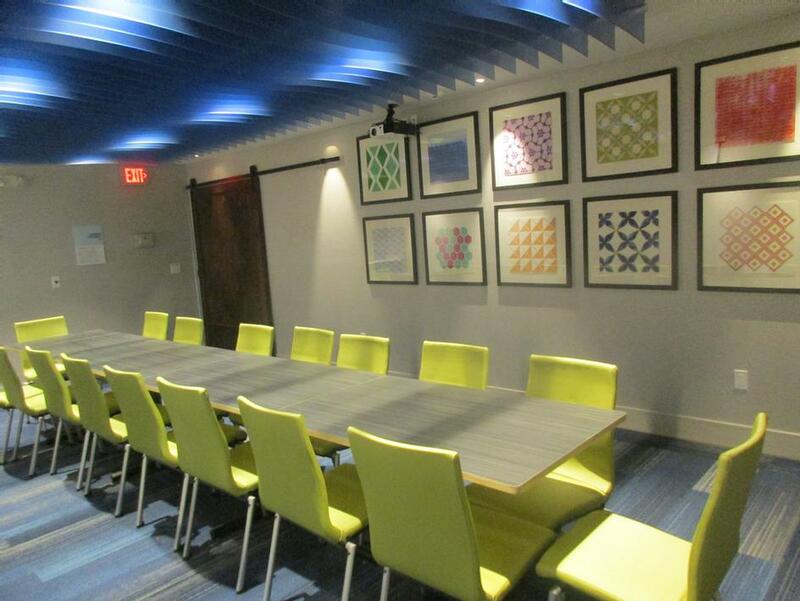 Below are the meeting, banquet, conference and event spaces at Holiday Inn Express. Feel free to use the Holiday Inn Express meeting space capacities chart below to help in your event planning. Hotel Planner specializes in Oneill event planning for sleeping rooms and meeting space for corporate events, weddings, parties, conventions, negotiated rates and trade shows. we have newly renovated meeting room space is @375 sqft, sitting capacity 17 person. max occupancy 25 person. 25 x 15 x 8 Ft.
25 x 10 x 8 Ft.